I’ve seen ― and learned ― so much about this city from the windows of buses. They’ve shown me the hillside urban villages normally blocked from view by high-street towers; the less-developed and lower-key but nevertheless fascinating urban spaces between well-known districts like Hongdae and Insadong, Myeongdong and Itaewon (all filled with tourists who seldom stray outside their boundaries); and the veritable hidden labyrinth of covered market streets threaded through the neighborhoods between where I live in Sinchon and downtown. Soon after I first came to Korea, I made the effort to better understand the nature of Seoul’s distinctive and ever-changing urban fabric by avoiding the subway whenever possible ― no matter how much I admire it. Read the whole thing at the Korea Times. 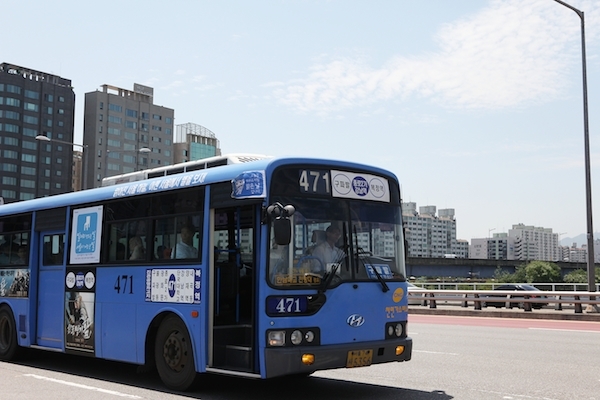 See also the broadcast on Seoul by bus I did one of the monthly urbanism segments on TBS eFM’s Koreascape. This was written by Colin Marshall. Posted on Friday, February 10, 2017, at 5:43 pm. Filed under Korea Times, Seoul, transit. Bookmark the permalink. Follow comments here with the RSS feed. Comments are closed, but you can leave a trackback.